The Well is a gastro pub owned by the ETM group. 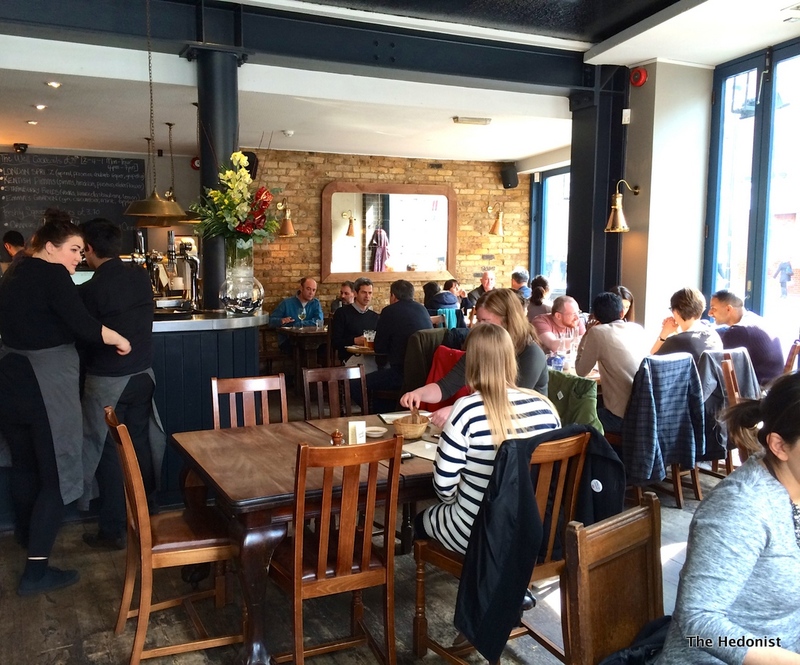 It’s one of those under the radar operations with smart City gastro pubs, contemporary brasseries, bars and small neighbourhood pubs several of which you have probably eaten in without knowing. The Well falls firmly into the smart gastro pub bracket with its stripped brick walls and antique dining tables-the question is would the food deliver? Fiona and I perused the menu over a glass of the crisp Prosecco di Valdobbiadene (£6). 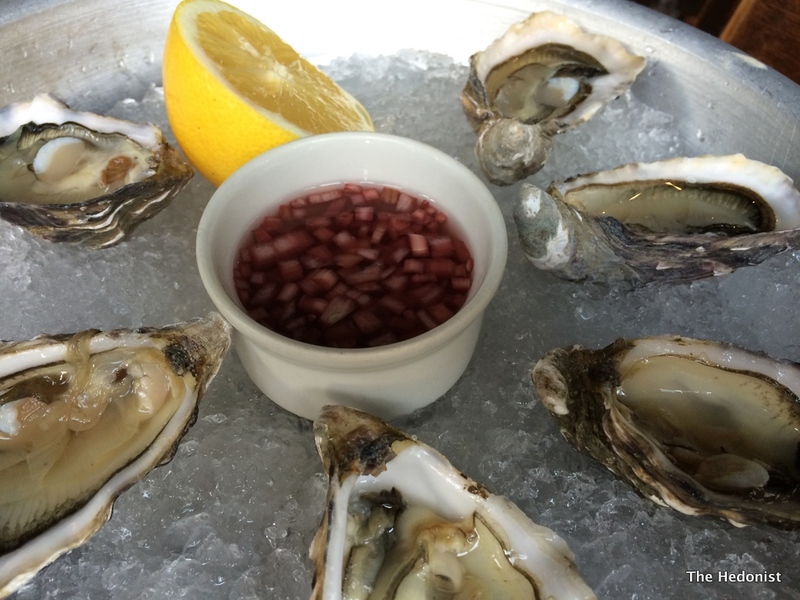 I chose half a dozen Maldon Rock Oysters (£13.50) to start as I was craving their creamy saline hit. 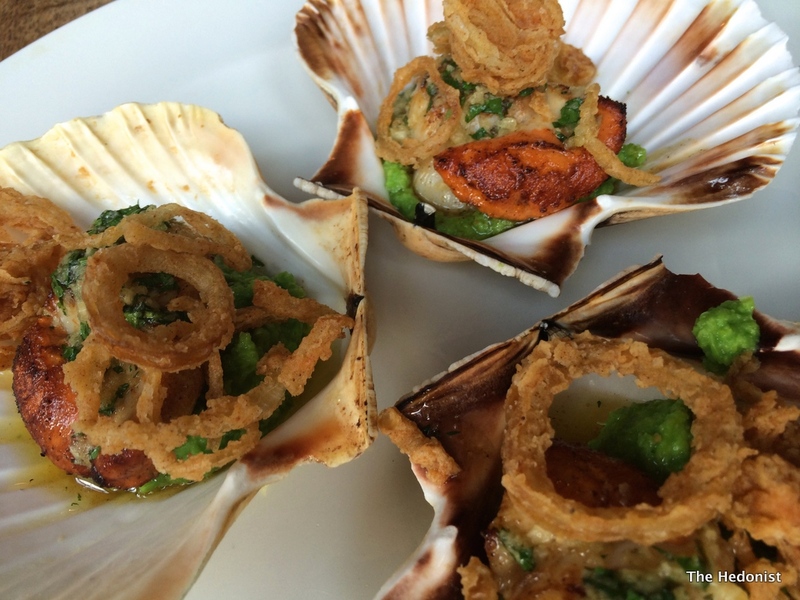 Fiona chose the seared Isle of Man scallops, pea purée, garlic and parsley butter and shallot rings (£14). She let me nick one of her shallot rings which was suitably rustic and announced that her scallop was perfectly cooked so who am I to argue? 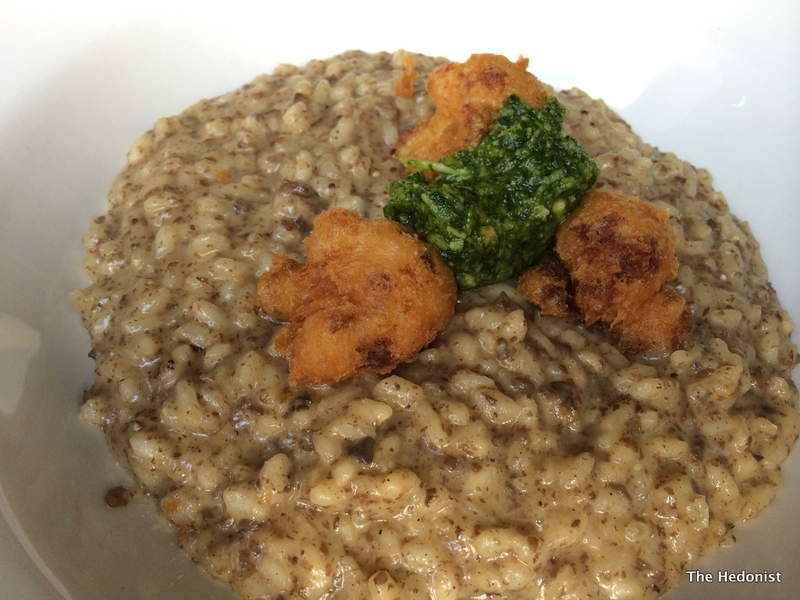 For my mains I went for the roast cauliflower and black truffle risotto, cauliflower fritters and hazelnut pesto (£11). This was the vegetarian option from the menu and although it was perfectly cooked, the rice being crunchy and nutty, the truffle flavour was notable by its absence. however the cauliflower fritters and hazelnut pesto were fun and nearly made up for it. 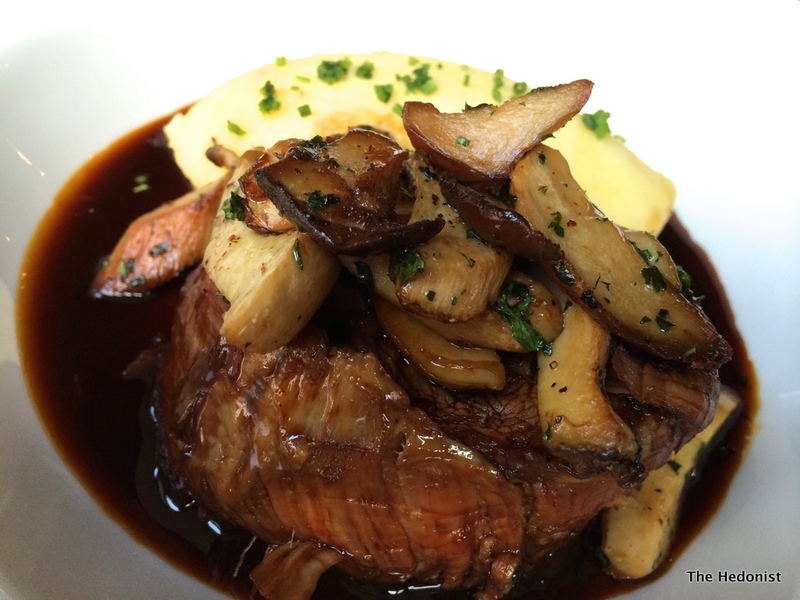 Fiona ordered off the specials menu – a 12 hour slow braised shin of White Park beef, creamed mash potato, sautéed oyster mushroom, braising juices (£21). The meat was falling off the bone and came with a beautifully sticky reduction that she mopped up with the mash. Fiona had moved on to a glass of a full bodied Finca La Colonis, Norton, Mendoza,Argentina, 2011 (£8.40) that proved a great match with the beef. We shared dessert choosing a mix of sorbets- blueberry, passion fruit and green apple (£6) which were all full of flavour and a great way to end the meal. The Well is a solid local choice for diners who don’t want the asceticism of St John or the simplicity of Burger & Lobster. You will be well fed in pleasant surroundings at prices that won’t break the bank. What more could you ask?